Editor’s Note: Good teaching practices normally transfer from traditional to distance learning environments. In some instances there are opportunities to accomplish what cannot be done in synchronous face-to-face communication. This study takes the opposing case. Dr. Love attempts to replicate a successful face-to-face model, a debate, in cyberspace. His class experienced technical and communication difficulties that influenced the time required and student motivation. Instructional Designers are constantly faced with new challenges. In a volatile technological environment, online resources seem to lead instructional designers into unknown territory. Often, instructors will attempt to merge online media and instruction in an effort to accomplish a single task. However, instructors must consider the resources they use and the strategy they employ before attempting to combine traditional strategies with online technologies. Merging a traditional debate format in synchronous and asynchronous online environments demonstrate the challenges of merging the traditional with the non-traditional. In this article, an online debate is examined in terms of limited communication methods and suggestions are provided for designing an online debate. During the spring semester of 2004 at The University of Oklahoma, nine students participated in a semester-long online debate. The debate was designed by the course instructor who assigned the exercise as a class project for a graduate-level Instructional Design course to be conducted outside the classroom. The purpose of the debate was to expose students to group work in an online environment, but limiting students’ communication between one another to only online methods. These methods could consist of both synchronous and asynchronous communication, but all communications must occur only at a distance, meaning no verbal discussions of the debate could occur in a face-to-face environment, including the classroom itself. The result of this exercise was a discussion and analysis of the experiences of a traditional construct imposed on an online platform and the inefficiencies of limited communication modes pertaining to specific tasks relative to time. The design of the debate was intentional. That is, the debate was intended to use traditional debate principles, yet in a non-traditional environment. The Instructional Design course itself was conducted in a face-to-face classroom where students were exposed to lectures, individual projects, and group work. The debate was conducted between class meetings. Part of a student’s grade depended on participation in the online debate. Therefore, the purpose of the overall course was to discuss instructional strategies while the online debate was merely assigned as a group project. The online debate was made relevant by the instructor’s objective to expose students to collaborative and cooperative learning in an online group environment. Another objective was for students to actively participate in traditional tasks in a non-traditional environment. Collaborative learning (group learning) was considered to be the primary learning outcome. However, the strategy imposed by the instructor was meant to limit groups in their communication. This would expose students to group collaboration and cooperation at a distance and simulate a group project in the absence of face-to-face contact. The nine students were divided into two groups of four while the remaining student behaved as an impartial debate consultant. One group argued that “media influences learning (known as the “Affirmative Group”) while the second group (the “Con Group”) argued the converse, “media does not influence learning.” Each group was given two articles that represented each argument (Clark, 1996 and Kozma, 1996). Further, each group could add as many as five additional sources of their choosing to bolster their respective argument. These terms were discussed and agreed to by all participants before the debate began. Students were not randomly assigned to groups, but the course instructor did attempt to match students across the two groups. That is, each group would consist of comparable levels of technical expertise. Therefore, both groups maintained low, medium, and high levels of technological experience. Rather than assigning students to groups on the strength of their beliefs or ability to argue, the grouping intended to simulate a varying degree of technological expertise as a function of group communication performance. The goal was not necessarily to win the debate, but to learn how to communicate in a completely online environment and then analyze the results of tasks attributed to the assignment. The formal debate utilized the Lincoln-Douglas format and was moderated by both the course instructor and the impartial debate consultant who happened to be an expert in debate principles. The Affirmative Group was assigned the task of stating the initial argument and outlining the claims they associated with “media influences learning.” The basis for the claims was rooted in the assigned article by Kozma (1996). Further claims were added and evidence was provided by citing some, but not all, of the five additional references. Each group was limited to a total of six sources (including the assigned article), so both were careful not to use all their references in their opening statements. The format of the debate intended to follow the Lincoln-Douglas format as closely as possible. The Affirmative team began with the affirmative constructive followed by a cross-examination by the Con group. Then, the Con group provided a negative constructive followed by cross-examination by the Affirmative group. After the initial constructive and cross-examinations, the Affirmative provided its first rebuttal, then the Con introduced its rebuttal, followed by the Affirmative’s second rebuttal that completed the debate. The following section provides a description of the stages of the debate as well as some of the complications and solutions experienced in particular stages. The Affirmative Group’s initial argument was due exactly one week after the rules of the debate were determined. Their argument was to be posted on a discussion board inside the Blackboard online course shell reserved for the debate itself. Before posting the initial argument, group members explored a number of communication modes in an effort to maximize communication between all four group members. Each agreed to meet in a Blackboard online discussion group at a specific time on a specific day, where a conversation began as a text-based discussion forum. The group found the asynchronous discussion board an inefficient vehicle for synchronous discussion, so the group moved to a Blackboard chat session hosted by one of the group members. Though the Blackboard course shell is generally reliable, some students could not connect to the chat session supported by Blackboard. The host of the session then found himself attempting to contact other group members through the discussion board and e-mail. In his message, he suggested that all group members download a third-party chat program that would be compatible with all users’ computer systems. Still, this did not solve the problem, as some were confused on how to download and install the software. Therefore, the conversation moved again to the original discussion board. Without discussing a single aspect of the content of the debate, the group members spent considerable time merely attempting to find the best communication mode. The group demonstrated a desperate attempt at minimizing inefficiency. As a result of the confusion and frustration experienced by the Affirmative Group’s attempts to communicate synchronously, a suggestion was made that an asynchronous method should be used. Group members agreed that a circulating document should be distributed among the group members. The document would be created by one person and then e-mailed to all group members. Another would add further content and then redistribute the message to all group members. Once everyone had contributed to the argument and corrections were made, the document was finally posted for the Con Group to read and respond. However, the argument was not posted within the allotted time frame, because the Affirmative Group requested an additional week to finish their constructive argument. The Con Group read the posting of the argument on the second Tuesday of the debate (exactly two weeks after the debate began). They were charged with responding to the Affirmative’s claims by the following Tuesday, as they intended to post arguments and rebuttals on a weekly basis. However, the Con Group experienced the same confusion and frustrations associated with online communications, resulting in a similar type of circulating e-mail document. The Con Group, too, found the task difficult to accomplish within the allotted seven days. They also requested and were granted a one-week extension. This seemed to predict the progress and pace of the remaining elements of the debate. According to the debate consultant, a traditional face-to-face debate consists of seven different elements or phases with each phase timed by a moderator. The initial constructive of the Affirmative Group would have used only six minutes employing the traditional face-to-face format. However, this argument was not available until two weeks after the debate began. The same is true for the Con Team. Their cross- examination of the Affirmative’s claims would last only three minutes in a face-to-face Lincoln-Douglas debate. The remaining elements of the debate would take less than a half hour to complete (see Table 1). Therefore, the online debate immediately compromised the time restriction, because the design accounted for a week between posting arguments (see Table 2). Further, groups experienced difficulties adhering to the weekly time constraints. preparation time throughout the round. Over the weeks, the claims stated by both groups appeared to create polarization in interpersonal settings. Though students were quite cordial to one another before and after class sessions, the seating of the students during class said something much different. The class agreed that the content of the debate would be discussed neither face-to-face nor in the classroom, including verbal discussions within and between groups. However, that after reading claims of the opposing group, individuals chose to seat themselves near one another according to group affiliation during subsequent class periods. Further, the classroom consisted of a single conference table, where each group assembled themselves on opposing sides of the table while the debate consultant willingly sat neutral between the opposing sides, close to the head of the table, opposite the instructor. The non-verbal behavior of opposing group members seemed to state quite obviously that the cohesion of group members increased through the shared experiences of attempting the frustrating tasks necessary to participate in the debate. The seating of individuals was completely voluntary and seemed to speak volumes about the identity of each group. This did not appear to be a result of the instructor’s chosen strategy or technology, but rather the amount of time the groups contested one another in the online environment outside the classroom. As each week passed, both groups found themselves increasing the duration between producing claims and arguments. More often than not, each group requested an extension or posted rebuttals more than two days late. Both groups appeared to maintain a constant level of increasing frustration. The groups remain polarized in the classroom throughout the semester and participation levels within groups would decrease every week. The group that seemed happiest in any particular class session was that group that did not have an argument due the following week. What had been intended as a nine-week activity had evolved into a time-consuming task that grew much larger than had been anticipated by group members. As content began to take form, some students found themselves consumed more with the debate and the competitive nature of the task than the overall lesson. Others simply became bored or lost interest by the time closing arguments had arrived. The apparent inefficiency of the online communication methods, when used in the context of the traditional debate format, seemed to contribute to attrition among individuals in both groups. All seemed to understand that if the debate was held in a face-to-face setting, the duration of the event would consist of a mere fraction of the time spent on the online debate. Yet similar informal debates occur daily among many online users. For example, many political message boards on the internet receive post after post of claims, rebuttals, redirects, retractions, and even angry responses. However, the concept of the task made this debate unique in that students agreed to a formal debate with rules and structure and level of participation affected the overall grade in the class. Some tasks are better suited for synchronous communication while others may be addressed in either asynchronous or synchronous environments. Most reported that the length of the debate posed the greatest challenge. When the debate had finally ended (after 14 weeks), both groups voted on which group had won the debate. The results were four to four and the debate consultant kept his vote secret to everyone and the debate was ultimately ruled a draw. Following the vote, an hour or more was allotted to debrief the class on how the assigned task of entirely online communication affected students while participating. The discussion was an open forum where everyone revealed their opinions and comments concerning the experience. Though the debate was considered long, most students found understanding in its purpose. Almost all agreed that the exercise was beneficial and a good lesson in converging debate and online communication methods. Most felt relieved to verbally express their experiences openly in the forum and recognized that if other synchronous methods were used, such as telephones, the debate could have used less time and materials would probably have been submitted on time. Most students reported that the debate was effective but inefficient, due to the removal of particular communication modes. One of the objectives of the course was to intentionally expose students to the challenges associated with merging traditional learning strategies with newer technologies. The debate exercise was considered by most students, though some may have felt mentally exhausted at its conclusion, an excellent exercise in the necessity to adapt learning strategies for selected technologies. However, selecting technologies does not forgive the necessity for thoughtful instructional design strategies. Throughout the process, the students experienced many frustrations and made numerous adjustments. The exercise also provided a real-world perspective into considering the design and technology as a hybrid of traditional strategy and newer technology. If the strategy and technology were considered and merged into a format so all of the afore-mentioned issues were considered prior to implementing such a design, a debate could be a quite useful learning mechanism for instruction. Traditional instructional design models are useful in helping instructors adapt traditional methods to new instructional environments. A critical component of the instruction design model lies in analyzing the resources, e.g. the technologies. High-tech resources such as the internet allow for a number of different avenues to be explored. A major consideration in developing a strategy for online instructional design is to first understand the manner in which individuals or groups will communicate over time. One should consider if communications occur in an asynchronous, synchronous, or combination environment. Further, one should analyze what resources work well in asynchronous and synchronous environments. Media attributes, such as bandwidth, interactivity, interface, and access, can help instructional designers understand the strengths and weaknesses of designing in a particular online environment. For example, if a group of students plan to attend an online course from the workplace equipped with a high-speed local area network and use of videoconferencing equipment, perhaps a two-way video conference would maximize learning. This addresses bandwidth (high), interactivity (high), interface (one mechanism) and access (group attending in one place accessing class through a local area network). However, this same scenario could be complicated if other students, say from a rural area, have access to only dial-up (low speed) internet connections. In the case of an online debate, time/place independence will play a role in the usability of technology in relation to desired outcomes associated with debate structure. Additionally, one must consider the reliability and ease of use of a particular technology. Therefore, brief online debates might become more productive if the debate parameters include synchronous (rather than asynchronous) communication methods that are simple to use. This might include chat, instant messages, audio conferencing, and video conferencing. However, as the complexity of the technology increases, so do the demands associated with the user. For a simple debate, instructors might use a chat session in order to maintain synchronous communication while adhering to formal rules. The instructor should moderate the discussions according to time constraints, processes, evidence, and other debate principles. More complex technologies, such as audio and video conferencing should involve a technician who maintains the network connection and communication devices while the instructor moderates. The point is to communicate in real-time so the debate does not last longer than necessary. Other formats might require adjustments to the design of the debate. For example, if the debate occurs on a message board, individual rather than group arguments might be more efficient. Again, the instructor might adjust or limit the number of rebuttals and redirects, yielding to timely arguments. Lastly, the instructor may limit the words used in each phase of the argument to the number of words one might use in a timed face-to-face debate session. However, as students prepare for a debate in an asynchronous environment, the accumulation of messages in discussions between group members may become overwhelming and because of time lapses, some information exchange may be taken out of context (Hron and Fredrich 2003). The lessons learned were two-fold. First, students understood the complexities of exclusive electronic and online communications in a group context. Secondly, and perhaps more importantly, students discovered that traditional methods of debate are complicated when the constructs are originally designed for a completely separate communication method. The online debate was effective because it produced spirited and valid arguments, but inefficient in its use of time. This aspect can certainly translate into the academic and instructional design of distance learning and online course design. As instructional designers develop online courses, they must understand the complexities of online environments when incorporating traditional instruction. Instructional designers should consider the attributes of technology and media in the context of synchronous and asynchronous environments. Further scientific investigation is needed to explain the main effects of the strengths and weaknesses of online debates. Perhaps this case provides a basis for further study. Clark, Richard E. (1994). Media Will Never Influence Learning. Educational Technology Research and Development. Vol. 42, Number 2. Hakkinen, P. (2003). Collaborative Learning in Networked Environments: interaction through shared workspaces and communication tools. Journal of Education for Teaching, Vol. 29, No. 3, pp. 279-282. Hron, A. & Fredrich, H. F. (2003). A review of web-based collaborative learning: factors beyond technology. Journal of Computer Assisted Learning, Number 19, pp. 70-79. Kozma, Robert A. (1994). Will Media Influence Learning? Reframing the Debate. Educational Technology Research and Development. Vol. 42, Number 2. Shawn M. Love is a doctoral student in Adult and Higher Education at the University of Oklahoma. He holds a Bachelor of Arts in Organizational Communication and a Masters in Human Relations, emphasizing Human Resource Development. 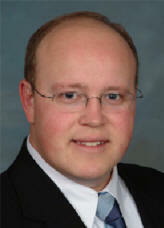 His current research involves online collaboration and use of video in online education environments. Shawn is the president of SML Group, Inc., an Education Technology consulting company. At The University of Oklahoma, he has served as an adjunct professor of Freshman Programs and developed distance education courses in the College of Engineering. He is currently assisting Oklahoma City University’s Meinders School of Business with the implementation of an online Continuing Professional Education program. Shawn M. Love can be contacted at shawnlove@ou.edu.